The Honda HRC216HXA commercial lawn mower is a workhorse and our #1 selling lawn mower preferred by professional gardeners and landscapers. 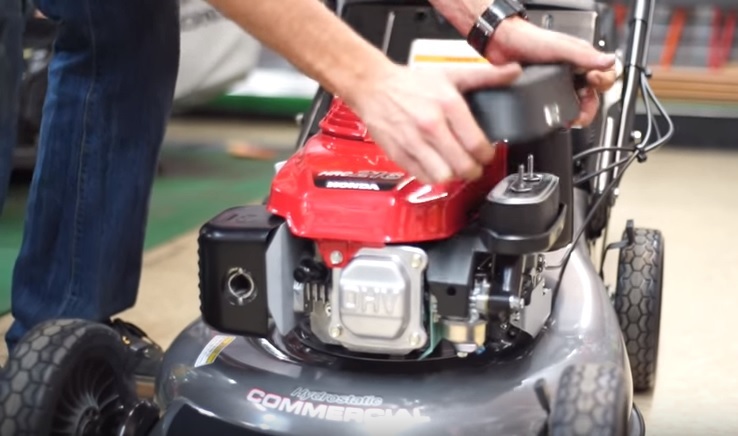 Keeping your mower in top condition will extend the life of the mower and ensure it will continue to operate efficiently to provide the perfect cut every time. Shop our Honda Parts Store online to buy authorized Honda replacement parts. Before you get started shut-off the fuel line valve by pulling the lever towards you. Disconnect the spark plug boot. 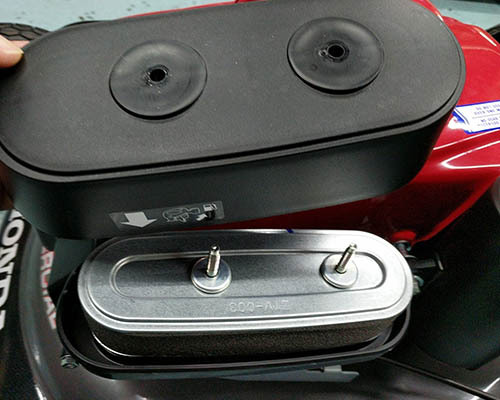 Unscrew the two top nuts located on the top of the air-filter then pop-open the air filter cover. 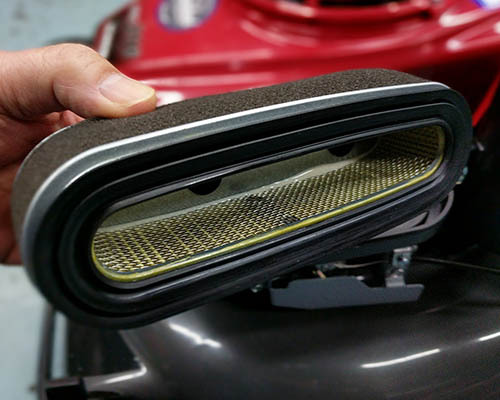 Remove the pre-filter sponge and air-filter and wash them in soap and water. Allow both items to dry then place the pre-filter sponge in a ziplock bag with a couple of teaspoons of oil. Blot and dampen the sponge so the filter is slightly oily. If either item is worn-out or too dirty to clean then replace them. Assemble everything in reverse order. Use a socket wrench to remove the spark plug and replace with a new spark plug – we recommend the NGK BPR5ES7734 pre-gapped spark plug. Don’t forget to reconnect the spark plug boot AFTER you have completed all your repairs. 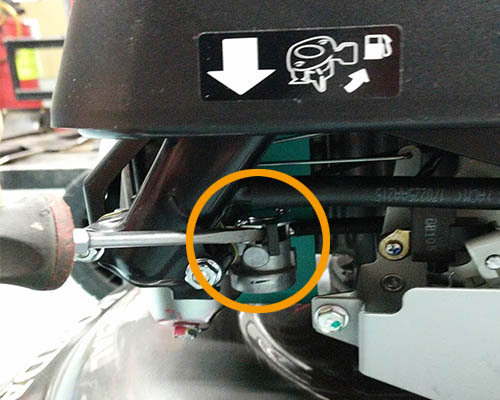 Flip the mower on the side and make sure the carburetor side is facing you (rest the HRC216HXA mower on it’s right side) to ensure the carburetor does not get flooded with gas. Wash and clean all the grass and debris underneath the deck. Inspect the blades to see if they are worn-out and dull, and/or have dings and dents. Replace blades or bring the mower to Gardenland Power Equipment for blade sharpening. Proper blade sharpening includes blade balancing and if not done properly, this will cause an operational hazard. 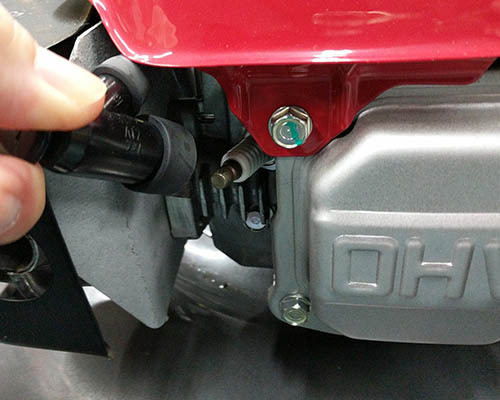 Use the dipstick to check the oil level on the mower, and add 10w-30w oil if the oil level is low. 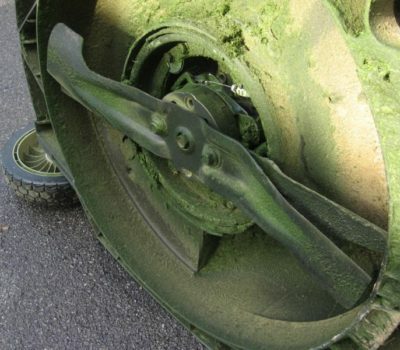 If you plan to store the mower for a month it’s best to drain the oil, then add fresh oil when you start a new season. Make sure you don’t store ethanol gasoline for more than 30-days as the water separates from the gasoline. If that happens the mower fuel tank, fuel line and corroborator could be damaged and require replacement. We recommend using a Fuel Stabilizer to clean the gas tank. If the gasoline could sit in the tank for more than a month, we recommend running the gas out of the mower then adding a quart of TruFuel into the tank. TruFuel is a synthetic fuel without ethanol and is safe to use with a 2-year shelf life after the fuel can has been opened. 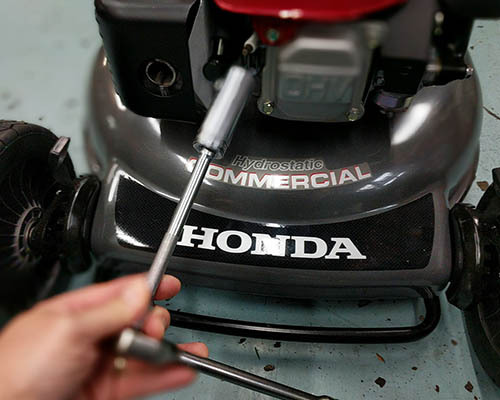 Reconnect the spark plug when you are done to restart your mower.